The third post in which I blog my reactions as I plough through Rolling Stone’s 500 Greatest Albums of All Time. This was the first section where I was listening to most of the albums for the first time and I had an intense reaction to every one of them. OK. Except Robert Johnson. I mean, I love the blues. The blues wouldn’t have been possible without Robert Johnson. And then we wouldn’t have had Clapton or Page or The Rolling Stones. But it’s like looking at a Daguerreotype. OK. It’s really cool to see what Paris looked like in 1838, but people take much better pictures these days. Just take a look at one of Roongko’s. How did this one escape me? I guess I had my John Lennon’s Greatest Hits and I thought I was done. Didn’t need to hear any more. But this one is greater. 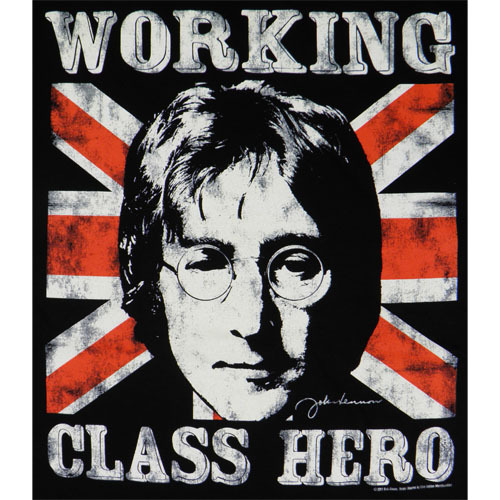 I remember coming across Working Class Hero in the soundtrack of the monumental The Leaving of Liverpool and rushing to the internet to find out who it was by. But then I remembered that the internet had not been *invented yet so I rushed back in time to catch the credits and saw that Holy Crap! It’s John Lennon. It has been my favourite John Lennon song ever since. Imagine. My much younger step-sister was really into U2 when they first made their appearance and she used to play them all the time but this was the first time I sat down and listened to The Joshua Tree. I have other U2 albums but not this one. Odd. Because this is certainly the best. On U2’s fifth full album, the band immerses itself in the mythology of the United States, particularly the wide-open spaces and possibilities of the Western frontier, while guitarist the Edge exploits the poetic echo of digital delay, drowning his trademark arpeggios in rippling tremolo. I am ashamed to say that I had never heard Led Zeppelin I either. I know all the songs of course but the actual album managed to avoid me for all these years. I’m wondering now whether this album should actually be up there at the top instead of Sgt Pepper. It’s crazy good – and I’m not even a Led Zep fan. On their first album, Led Zeppelin were still in the process of inventing their own sound, moving on from the heavy rave-up blueprint of guitarist Jimmy Page’s previous band, the Yardbirds. But from the very beginning, Zeppelin had the astonishing fusion of Page’s lyrical guitar playing and Robert Plant’s paint-peeling love-hound yowl. I have Clouds. It’s quite marvellous but Blue? Isn’t that the one she made when she was already a has-been? …OMG! That is the most incredible album I have heard in years and years. It won’t be to everyone’s taste – maybe not even to mine (and certainly not to my wife’s). But at least give it a listen and marvel at what Joni has created. With song after song of regrets and sorrow and a smoky-blue cover shot of Mitchell on the edge of tears, this may be the ultimate breakup album. Its whispery minimalism is also Mitchell’s greatest musical achievement. Expeditions like this are what music subscriptions are for and what you people who still buy their music don’t seem to get. You probably wouldn’t want to run out and buy Blue and, if you did, you’d probably only listen to it once. But with Rhapsody or Napster – for five bucks a month – you can listen to any crazy album that takes your fancy [as long as it is not by the Beatles or Led Zep or the Eagles or AC/DC -ed]. All in all, this has been the most exciting section of the journey so far. Who knew that Stevie Wonder was this good? Or James Brown? Amazing stuff. I am looking forward to the next section. * Yeah, yeah. I know the difference between the internet and the world wide web but that wouldn’t have been so funny, would it?